Open to Global Poverty and Practice Minor Students only. Applications for competitive Global Poverty and Practice Fellowships are available for GPP Minor students to support students’ U.S. and international Practice Experiences. Applications are evaluated on the proposed practice experience and the financial need of the student. The current application for Spring, Summer, and Fall 2019 Practice Experiences is due Monday, February 4th, 2019 at 11:59 pm. The 12-month fellowship for individuals is dedicated to serving the poor and who have the business, leadership, and operational expertise. The fellowship begins with an eight-week training program in New York that culminates in a nine-month fieldwork with a company in the US or abroad, and long-term connection opportunities post-program. Only students studying in energy-related disciplines from accredited colleges or universities in the U.S. or Canada are eligible for student research grants/internships. The DEED technical design project is intended to promote the involvement of students studying in energy-related disciplines in the public power industry. One $5,000 TDP is awarded each year to a student or group of students conducting research on an energy-related project. The award recipient(s) also receive travel reimbursement up to $3000 to present their project during the annual APPA Engineering and Operations Technical Conference. Ashoka actively searches for social entrepreneurs with new, innovative solutions to solve society’s pressing problems. Fellows are eligible to receive a tailored stipend for up to three years, if needed, for the Fellow to dedicate themselves full time to the advancement of their idea. Fellows receive lifetime network support and stipends that support their research. The Academic Opportunity Fund awards grants for academic travel that enhances student access to valuable educational experiences beyond the classroom. The Academic Opportunity Fund subsidizes off-campus academic pursuits, such as professional meetings, research conferences, academic competitions, and independent research. The ASUC offers 9 Grants (Academic Opportunity Fund (AOF), ADA Accessibility Fund (ADAAF), Arts and Creativity Fund (ACF), DeCal Fund (DCF), Educational Equity and Excellence Fund (EEEF), Intellectual Community Fund (ICF), Multicultural Fund (MCF), Public Service Fund (PSF), and the Greek Opportunity Fund (GOF)) during the Spring semester and 3 Scholarships (Textbook Scholarship, RISE Scholarship, and the Oustanding Student Recognition Scholarship) during the Fall semester for a variety of student initiatives. Students studying on CIEE’s college study abroad programs can apply for CIEE scholarships and grants. Provides both need-based grants and merit-based grants. For any Berkeley undergraduate travel to Africa for research and study who will return to campus as a registered student following the research trip. Students with training in African studies and foreign languages, particularly African languages, will be given priority. These awards will enable students to carry out clearly defined fieldwork, domestically or internationally, with human rights organizations related to a student’s area of study. The purpose of the fellowship is to provide students with an opportunity to contribute to the work of human rights organizations while also gaining practical experience that may influence the students’ areas of research or academic focus. The fellowship program welcomes multi-disciplinary approaches to human rights fieldwork. Students are encouraged to publish the results of their fieldwork. Preference will be given to graduate students and returning students. The Center for Middle Eastern Studies (CMES) provides grants and other support for students, faculty, and visiting scholars; hosts lectures, film series, conferences, and innovative workshops; and partners with local educational and non-profit institutions and businesses to provide accessible public programs related to the Middle East. The Center for Race and Gender (CRG) at the University of California Berkeley, announces the availability of grants of $100 to $1,000 to fund undergraduates for research or creative projects that address issues of race and gender. Topics should be consonant with CRG’s mandate to support critical student research on race, gender, and their intersections in a wide variety of social, cultural, and institutional contexts, especially on the Berkeley campus and its neighboring communities, but also in California, the nation, or the world. Grants will be awarded for periods of up to six months from the start date. The CGI U Innovation Fund will source, support, and feature the most effective, high-impact student innovators and entrepreneurs from around the world. Working within the CGI U Commitment to Action model, Innovation Fund grants will provide students with critical seed funding to help launch and scale their early-stage projects. The awarded funds will range from approximately $2,000 to $10,000. Accepted students receiving funding through the Innovation Fund will also be invited to attend the CGI U 2017 meeting. The CNR Travel Grant is designed to help students fund travel that is related to research and/or participation in conferences. To be eligible, applicants must be undergraduate students in CNR, be in good academic standing, and have a faculty sponsor from within CNR. Travel must take place while individuals are registered or continuing students. The Davis-Putter Scholarship Fund provides grants to students actively working for peace and justice. Early recipients worked for civil rights, against McCarthyism, and for peace in Vietnam. Recent grantees have been active in the struggle against racism, sexism, homophobia, and other forms of oppression; building the movement for economic justice; and creating peace through international anti-imperialist solidarity. For all sophomore and junior UC undergraduate students who are engaged in year-long projects related to social change, public service, and/or social entrepreneurship. Students must submit application to UC Berkeley’s representative (identified on the Strauss Foundation website). The E4C Program is a 4-month Summer Research Fellowship that grants 10 $5k grants to engineering students engaged in global development, supported by a grant from the United Engineering Foundation (UEF). The Fellowship is a new offering from E4C’s Innovation Lab, which supports the development of knowledge tools for designers, manufacturers and implementers of poverty‐alleviating products and services. Fellows will deepen their understanding of development engineering through research, analysis and normalization of solutions. This program is open to senior undergraduate, graduate and post-graduates in engineering with a focus and/or specialization in global development aligned to E4C’s target sectors (i.e. Energy, Health, Water, Agriculture, Housing, Transport and Information Systems). Graduating students are eligible. Award Amount: Up to $80,000 for individuals (or $90,000 for two-person partnerships) over 2 years. Echoing Green Fellowships provides a $80,000 stipend for individuals and $90,000 stipend for two-person partnerships to start a new public service organization or an independent service project that identifies and create visionary solutions to community needs. The Fellowship also provides health care benefits, on-line connectivity, access to a network of social entrepreneurs, training and technical assistance. The proposed project can be domestic or international, in all service areas. It must be the applicant’s original, independent idea, and applicants should have experience with the proposed service and constituency. Research projects and lobbying activities are not eligible. A full time student in a degree program can apply; however, you must have completed your studies by July at the beginning of your fellowship period. The Cabot Trust awards grants to support persons with charitable, religious, artistic, educational, and scientific projects that promote the good of others. Applicants should contact the Trust in writing to request application guidelines. Innovation Grants offered to students, faculty, and staff that are meant to encourage new and sustainable projects to promote equity, inclusion, and diversity on the UC Berkeley campus. The Division of Equity & Inclusion developed the Innovation Grants program to encourage grassroots creativity, innovation, and experimentation among campus members in addressing both long- and short-term challenges. It provides a dynamic and flexible complement to larger institutional efforts and approaches. At UC Berkeley, funding for FLAS Fellowships is provided by seven Title VI National Resource Centers representing various world areas, including: East Asia, Eastern Europe/Russia/Eurasia, Latin America, Middle East, South Asia, Southeast Asia, and Western Europe. The GO! Volunteer Abroad Scholarship program supports people participating in volunteer programs abroad. The scholarship is awarded based on the creativity and analytical thinking displayed through writing samples and/or video submissions. Each year, the Graduate Assembly dedicates one-third of its annual budget to support the funding needs of graduate student groups. The GA funds registered student groups and student publications, in addition to providing space for events. The Graduate Assembly also offers travel awards for students presenting research at professional and student conferences. Database of scholarships, grants and fellowships provided by the Graduate Division for Graduate students at UC Berkeley. The Greater Good Science Center offers annual fellowships to UC Berkeley Undergraduate (up to $5,000) and Graduate students (up to $15,000) whose research relates to our mission. The fellowship program aims to attract scholars from across a broad spectrum of academic disciplines, with an emphasis on the social-behavioral sciences. For academically talented, financial-aid-eligible undergraduates IN ALL MAJORS to engage in a sustained research, field-study or creative project — often their senior honors thesis/project — in the summer before and during their final year or semester at UC Berkeley. Please note you will be set with a faculty mentor and be expected to attend a retreat and conference. Haas scholars also take a seminar in the Fall semester (1 units, P/NP) and a writing workshop in the Spring semester. The ICWA Fellowship represents a generous investment in the future of a Fellow. The ultimate aim of the ICWA Fellowship program is to cultivate deep expertise in foreign countries and cultures. The Fellowship supports a Fellow over a two year period, during which she or he carries out an immersive program of self-designed, independent study abroad. The goal is to learn about other societies, not to change them. Please note that Fellows are required to write monthly newsletters. Applicants must have a good command of written and spoken English. IIS is seeking to award a series of merit scholarships of up to $2000 each to support undergraduate research in any area of international studies. Research may be conducted while in EAP, or independently. The scholarship recipients will be called IIS Junior Scholars. After completing their research projects, Junior Scholars are required to submit a four-page research summary and attend the IIS Junior Scholars Conference held in May 2017. The Jewish Community Federation (JCF) College Scholarship program serves primarily Jewish undergraduate students who demonstrate excellence in academic performance, community service, and demonstrate financial need. The Federation provides 11 different scholarships for students to attend undergraduate or graduate programs at accredited nonprofit colleges or universities. Scholarships are granted based on both merit and financial need and are intended to be “last resort” funding to supplement student and family contributions, as well as other financial aid, grants, and awards. The Jewish Family and Children’s Service offers Bay Area Jewish students awards on a rolling basis. Funds are prioritized for people who demonstrate financial need; however, they also make some merit based awards.  The John Gardner Fellowship places three graduating seniors from UC Berkeley with a distinguished mentor in a public service, non-profit, or government organization of their choosing within the continental United States. Applicants are encouraged from any major field of study and from a wide variety of service experiences; they need only to have a strong commitment to public service. The Prize is open to Berkeley graduates who are awarded an undergraduate degree in the Fall of the year before or the Spring or Summer of the year in which the Prize is awarded in any area of study. The Stronach Prize gives students the opportunity to extend and reflect upon their undergraduate work at Berkeley by undertaking a special project after graduation. Winning projects are creative in the broadest sense, explore themes of significant interest to holders of the Prize, and strive to further understand what constitutes humane and effective participation in our worldwide community. Proposals for humanistic research or social service projects involving the arts, humanities and social or natural sciences are welcome. The Prize cannot be used to support graduate study or any credit-granting courses. The J.W. Saxe Memorial Fund is a prize of two thousand dollars awarded annually to one or more undergraduate or graduate college or university students in the United States seeking support for an internship in public service. The award enables students to gain practical experience in public service by taking a no-pay or low-pay job or internship during a summer or other term. Preference will be given applicants who have already found such a position, but who require additional funds. For Berkeley freshmen or sophomores from any field of study with a minimum GPA of 3.5. The Leslie Lipson Program is intended to encourage undergraduate students to study humanistic values and their practical application for individuals, societies, and states. The Program consists of three components: (1) the Essay Prize, (2) the Scholarship, which is available to Essay Prize winners, and (3) the Research Grant, which is optional for Scholarship winners. Eligible freshmen and sophomores are invited to submit an original, unpublished piece to the Lipson Program essay contest on one of the Essay Topics related to humanistic values. The essay topics for each year are selected by the Lipson Committee and are available on the website. Provides a list of grants for innovators with promising but unproven approaches to important social problems. Grants are one-time, no more than two years, with stipends between $15,000 and $500,000. Provides a list of grants available since 2001 concerning scientific discovery, environmental conservation, patient care improvements, and preservation of the special character of the San Francisco Bay Area. Each summer, the New York Foundation hires an intern to oversee the Summer Internship in Community Organizing (SICO) program which enables current grantees to hire young people who are interested in exploring the field of community organizing. The internship at the New York Foundation offers a young person the opportunity to learn about philanthropy and local grant-making. The intern who is placed as an Intern for ten weeks, conducts site visits to the SICO interns, coordinates an orientation session, and writes a report about the summer program. The Peter E. Haas Public Service Leaders Program provides need-based scholarships and supports a community of undergraduate student leaders who have demonstrated a significant commitment to off-campus service activities. Students dedicate 10 to 15 hours per week in off-campus social action activities and engage in a year-long leadership development program through the Public Service Center. This award is to allow recipients to engage in a meaningful public service activity for one year before proceeding on to graduate school or career. Scholarship Connection is UC Berkeley’s clearinghouse for information on scholarships that are funded by sources outside the University. The Scholarship Connection website is run by the Office of Undergraduate Research and Scholarships (OURS). We receive hundreds of scholarship notices each year. Competition for these awards may be local, national, or international in scope, and scholarship deadlines and requirements vary. Award Amount: Up to $250,000. The Shuttleworth Foundation Fellowship Program funding consists of two components for each Fellow – the fellowship grant and the co-investment project funding. The fellowship grant covers the cost of the Fellow’s time for a year and is guaranteed to the fellow for that year. The grant amount varies and is determined by each Fellow’s salary equivalent outside of the fellowship. The co-investment project funding is the most unique part of the Fellowship Program, as Fellows are rewarded for investing in their own ideas. An amount of $250,000 is set aside per Fellow per year as potential project funding. 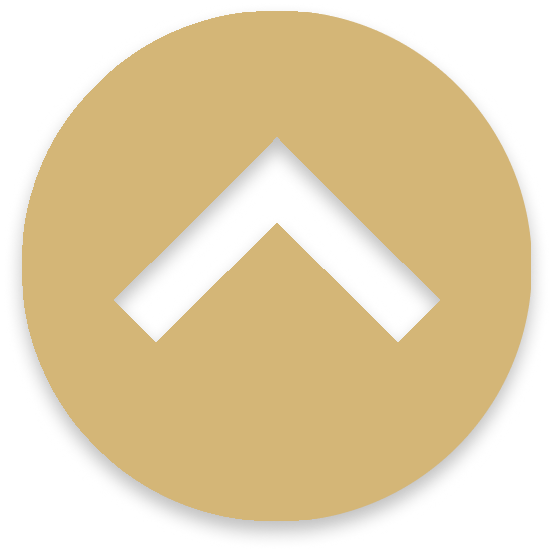 This funding is unlocked through a light weight project pitch process and the Foundation tops up the Fellow’s own investment by adding at least 10 times as much funding from their project funding pool. Fellows are also eligible for flash grants up to $5,000, offered twice a year in support of their work. Social Entrepreneur Corps uses dynamic international internship programs lasting between 1 – 8 weeks abroad to provide students with the knowledge, experience, skills, and ongoing support necessary to empower marginalized individuals. Participants earn a certificate titled “Social Entrepreneurship: Changemaking for Change Leaders” and work as a consultant alongside social entrerpeneurs and local partners in impact immersion programs in Latin America. The New York Foundation provides funds for summer internships in community organizing for young people. The goal is to provide young people (ages 15 to 23) with a training experience in the process of community organizing. They prioritize internship proposals that involve interns directly in organizing efforts, especially in low-income communities and communities of color. This Award is intended for UC Berkeley undergraduates in Middle Eastern Studies or other relevant majors, or graduate students in Master’s or Ph.D. programs whose work focuses on the Middle East and North Africa. Grants are awarded to defray the cost of international travel to conduct research. The Sultan Program supports teaching, research, and public outreach on topics related to the Arab and Arab-Islamic world, with the overarching goal of promoting a deeper understanding of this important region at UC Berkeley and beyond. Grants are awarded for Visiting Scholars, Graduates, Undergraduates, and other scholarly initiatives taken upon by UC Berkeley faculty, students, and affiliates for collaborative and public outreach activities related to the Arab world. For Berkeley undergraduates in the College of Letters and Science to spend the summer doing concentrated research in preparation for a senior thesis or another major capstone research project. If traveling as a SURF fellow, please note that the full amount of airfare is rarely awarded and you are encouraged to investigate other sources of travel funding. update description: The SURF Program is made up of three different fellowships: SURF L&S, SURF Rose Hills Experience, and the SURF Rose Hills Independent. The SURF L&S fellowship allows UC Berkeley undergraduates in the College of Letters and Science to spend the summer doing concentrated research in preparation for a senior thesis. The SURF Rose Hills Experience fellowship allows UC Berkeley sophomores and juniors from Southern California in certain math, science, and engineering majors (L&S, CNR, COE, C. Chem) to immerse themselves in full-time summer research supporting a research project that is designed and directed by a faculty member. The SURF Rose Hills Independent fellowship is for UC Berkeley juniors in the summer before their senior year who are intending to do research projects of their own design as part of a senior thesis for a major. Students must have permanent residence in Southern California and be part of certain STEM majors. Graduating seniors are also eligible. Grants for researchers, top faculty members, government agencies, and community agencies to collaborate and solve the most pressing problems in California. The Research Grants Program Office (RGPO) also provides grants for training undergraduates, graduate and postdoctoral researchers, whose work will benefit California communities.